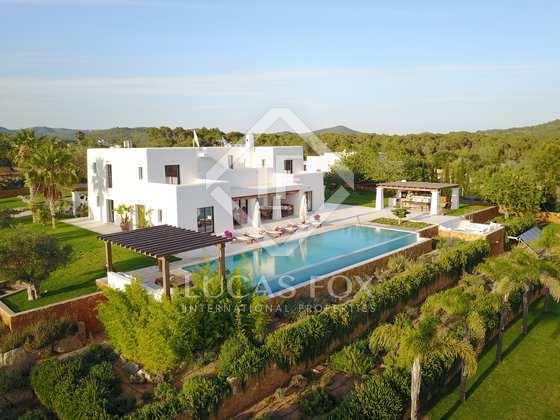 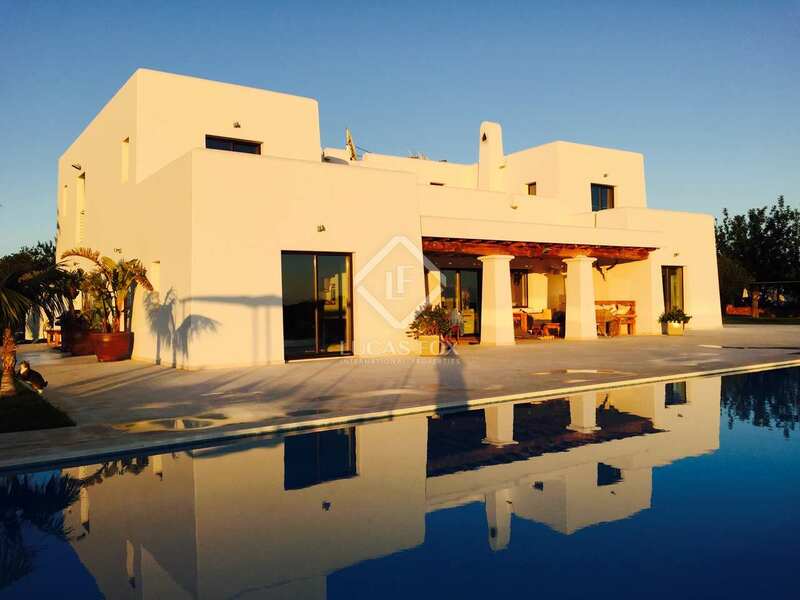 Stunning 6-bedroom villa with exceptional outdoor space for sale in Ibiza. 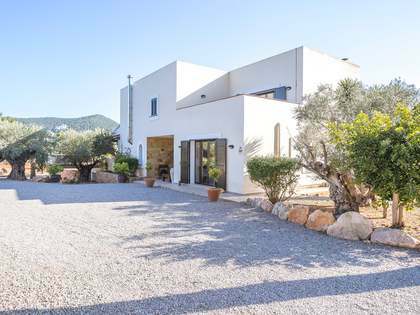 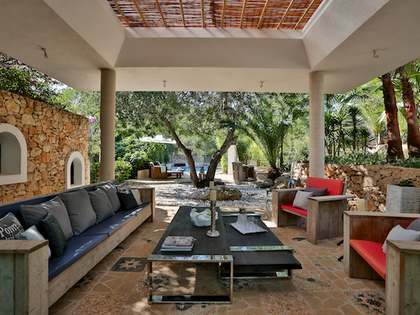 Stunning both inside and out, this is a truly spectacular home for sale in Ibiza. 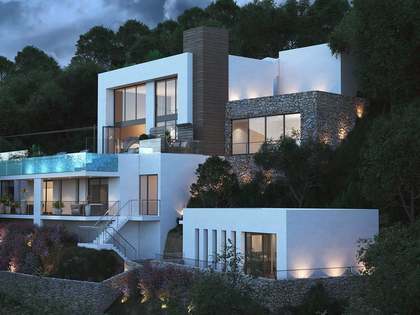 With 6 bedrooms, each with an en-suite bathroom, the villa would make an exceptional family home on the White Isle. 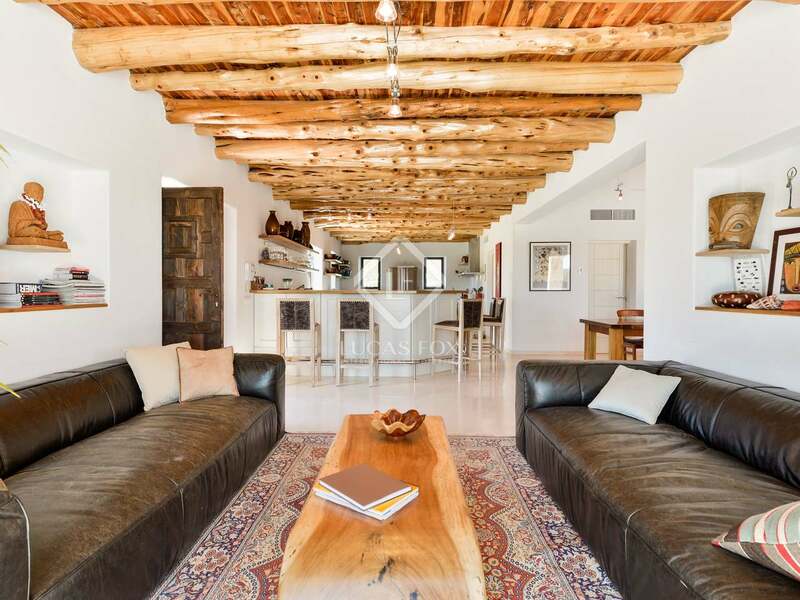 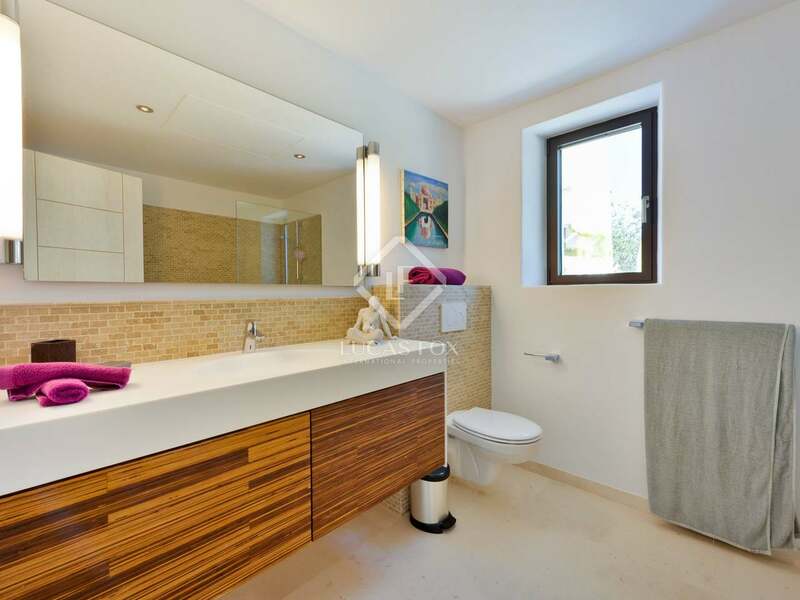 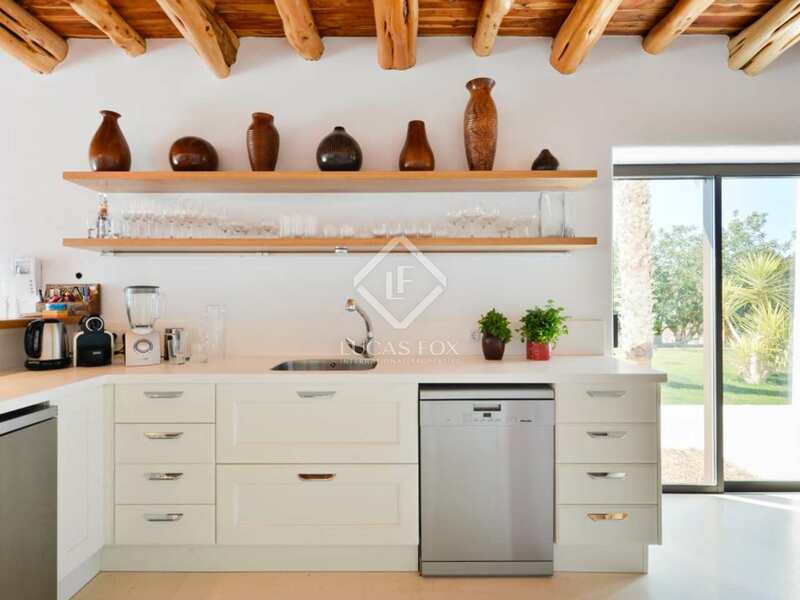 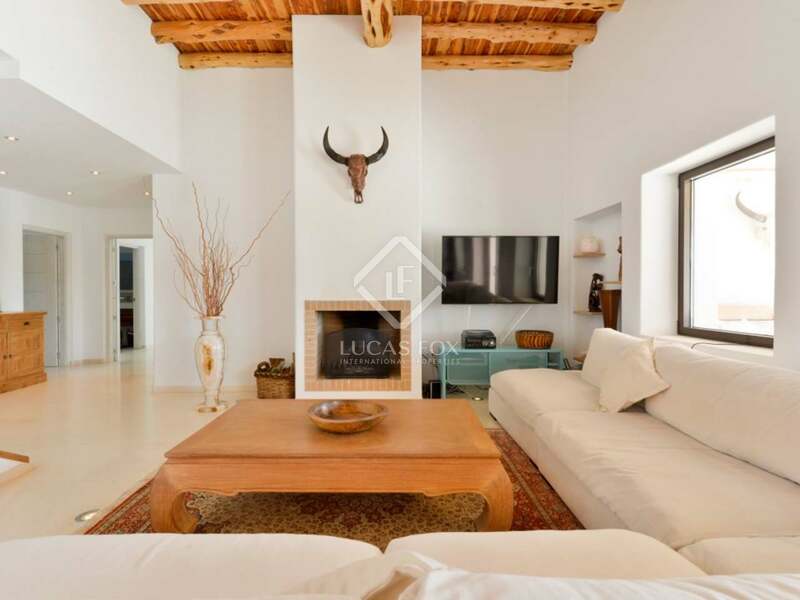 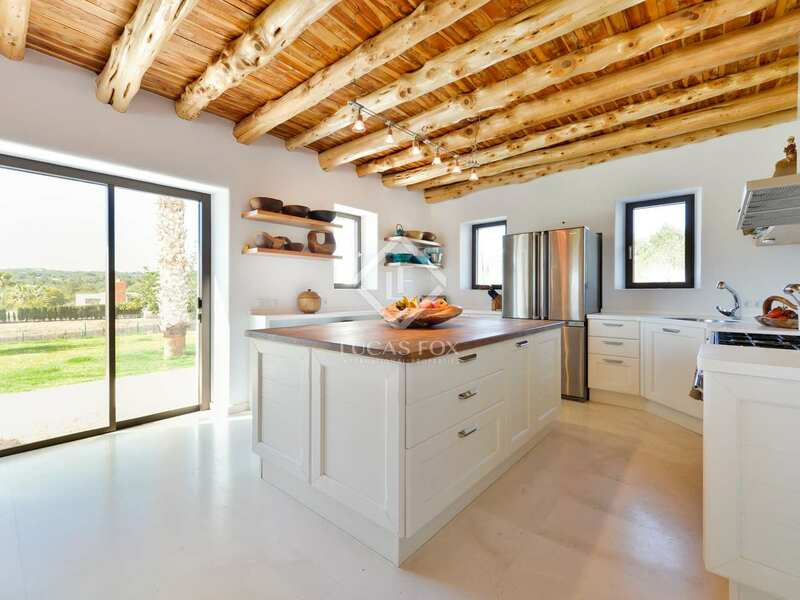 Built just 4 years ago, the property is modern yet with a touch of rustic charm including wooden ceiling beams in the living-dining areas and kitchen. 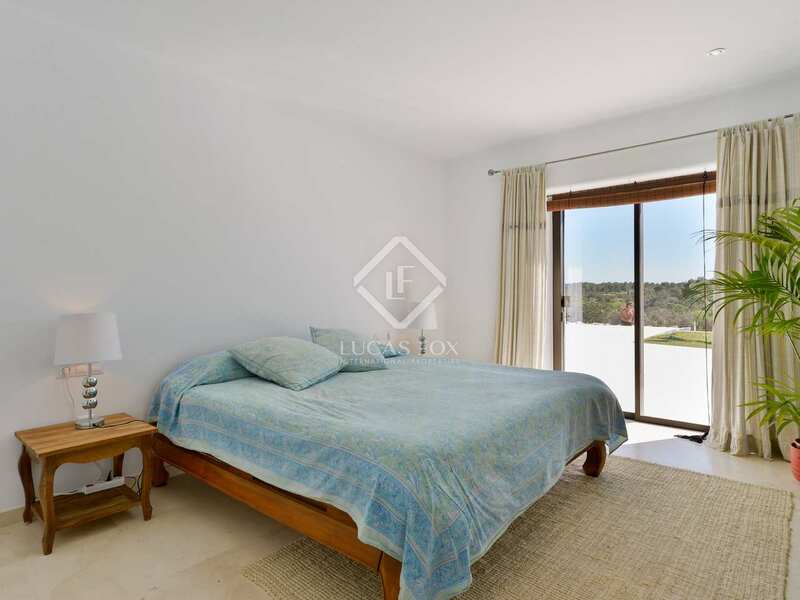 Three of the 6 bedrooms are located on the ground floor with the 3 remaining bedrooms on the first floor. 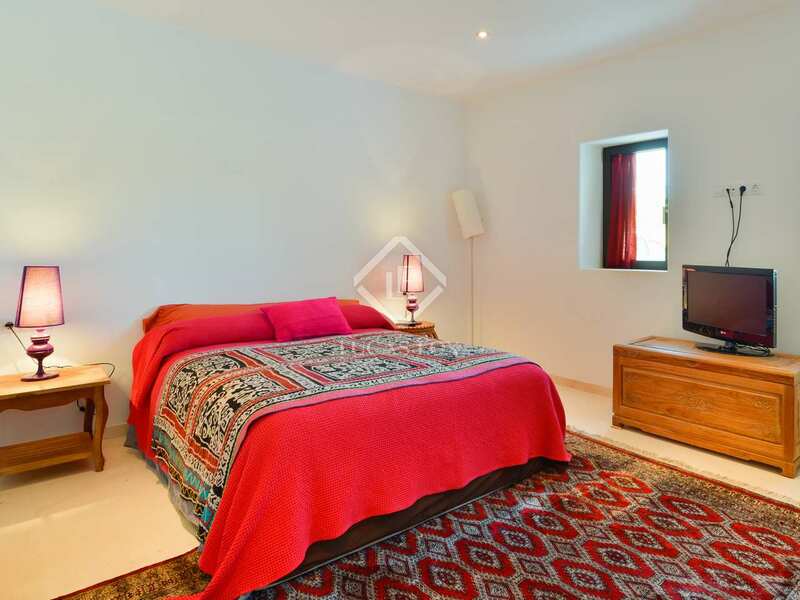 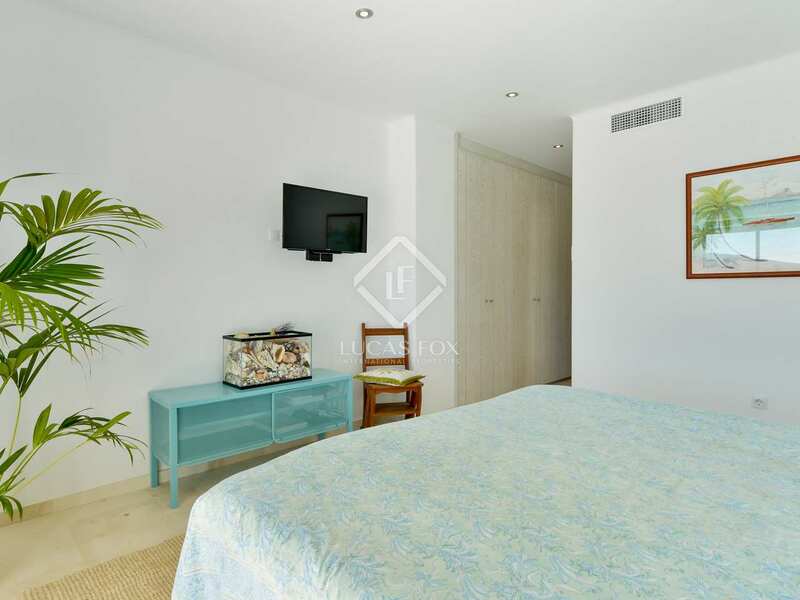 Each of the bedrooms is very spacious and has an en-suite bedroom and there is a further bathroom for guests. 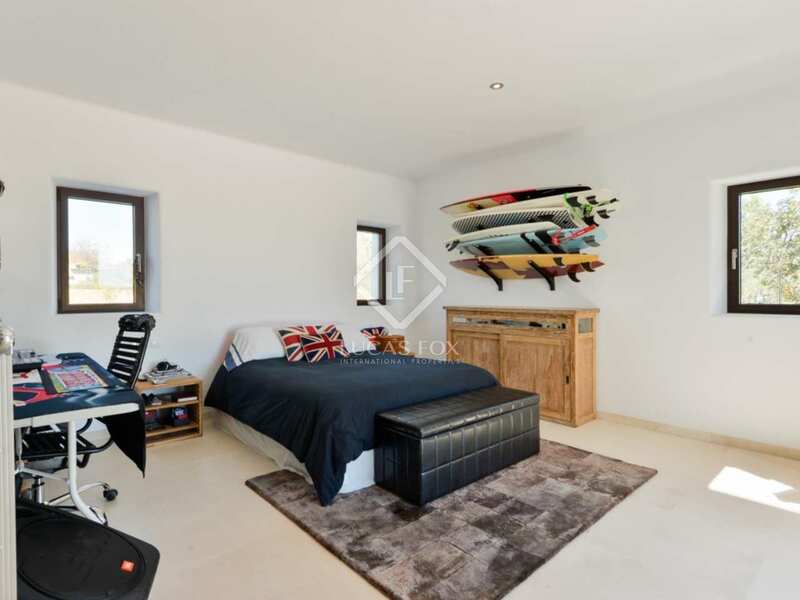 An extensive storage area, previously used for parking cars add boats, has lots of potential depending on the requirements of the new owner. 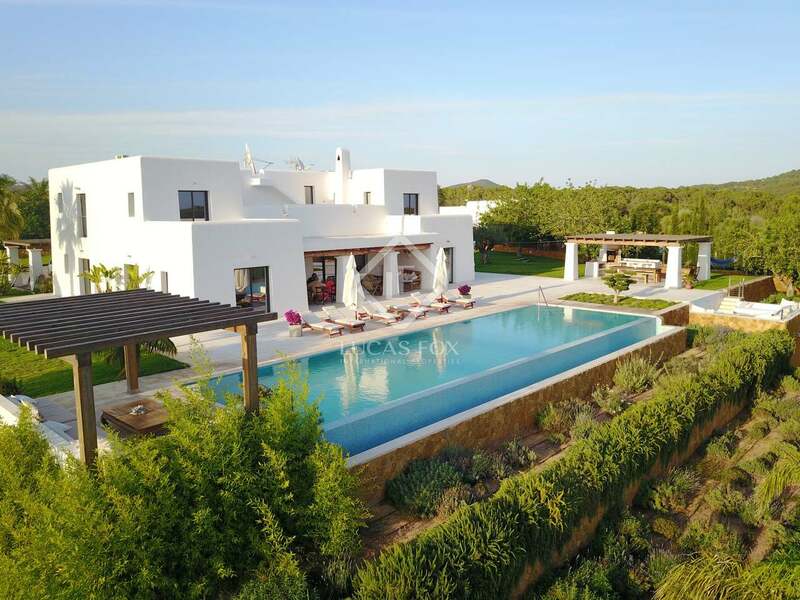 The outdoor areas are equally impressive with large covered and open terraces, a spectacular swimming pool and inviting chill-out area, perfect for making the most of the excellent climate. 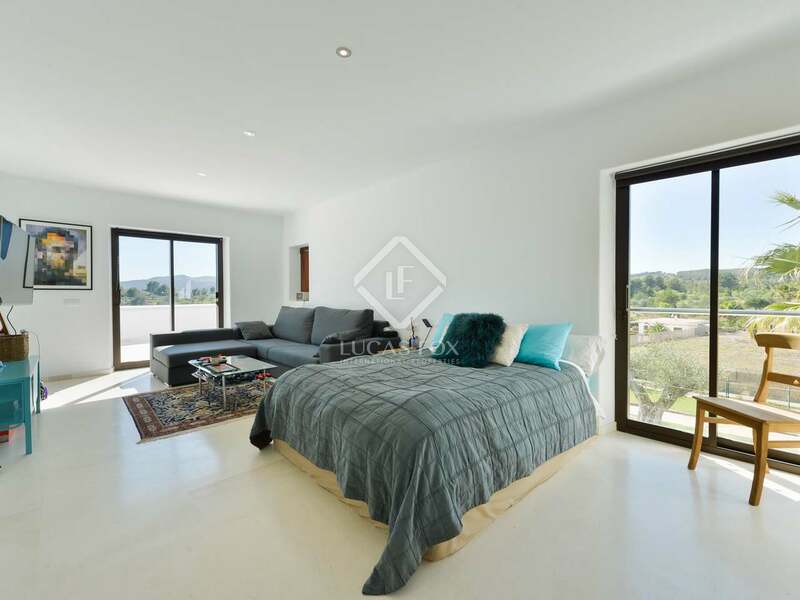 There are also immaculate lawn areas and a large parking area with a car port. The entire plot is fenced for security and peace of mind. 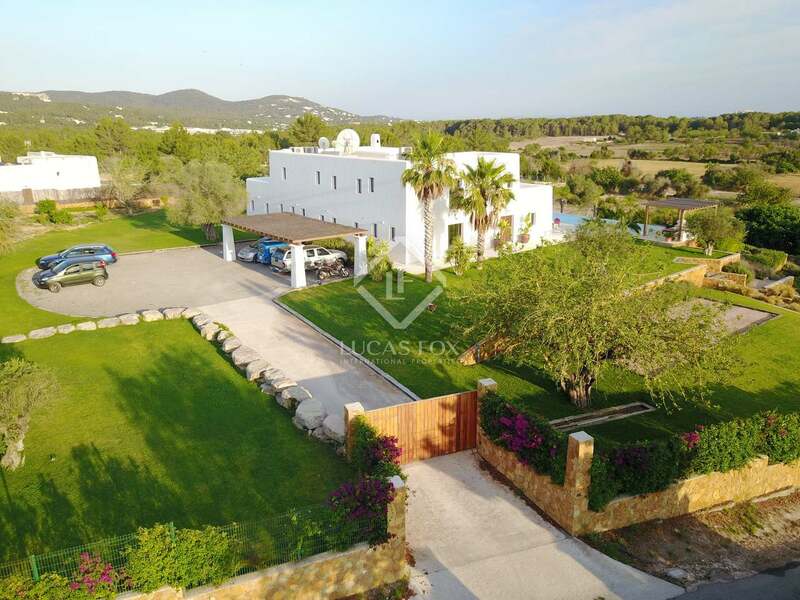 Given the villa's highly desirable characteristics and location just 7km from the city, this property could be an interesting option for investors. 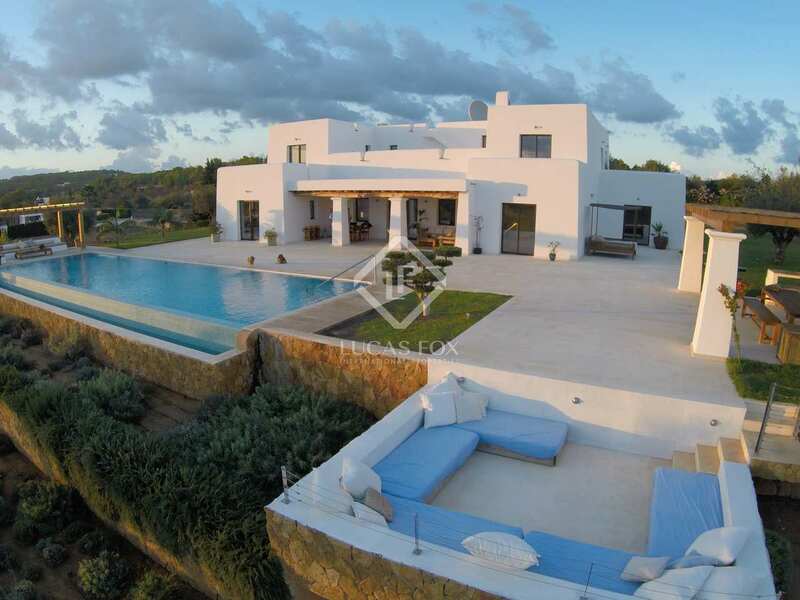 Furthermore, the villa has a tourist licence and excellent rental potential. 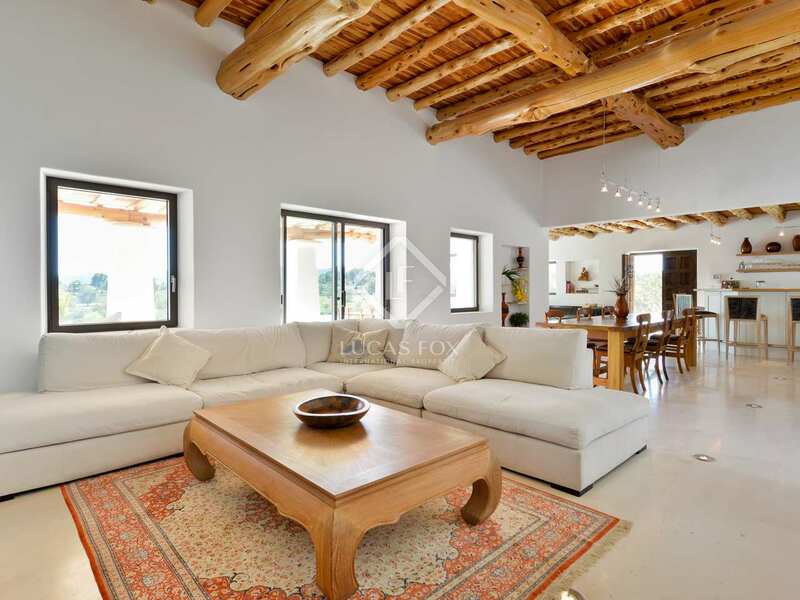 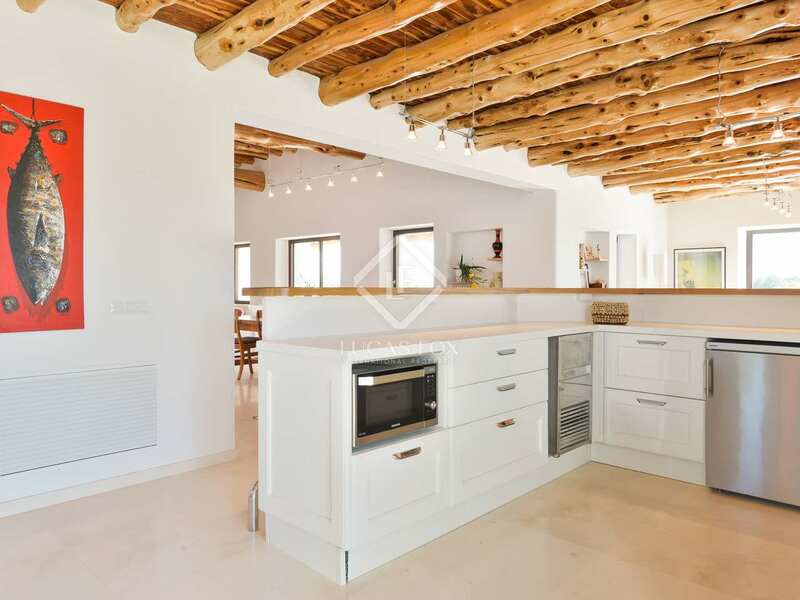 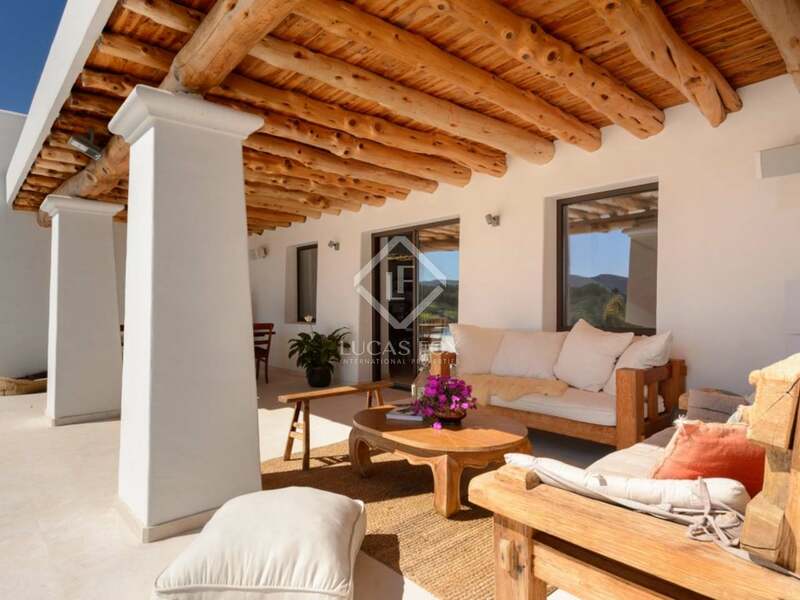 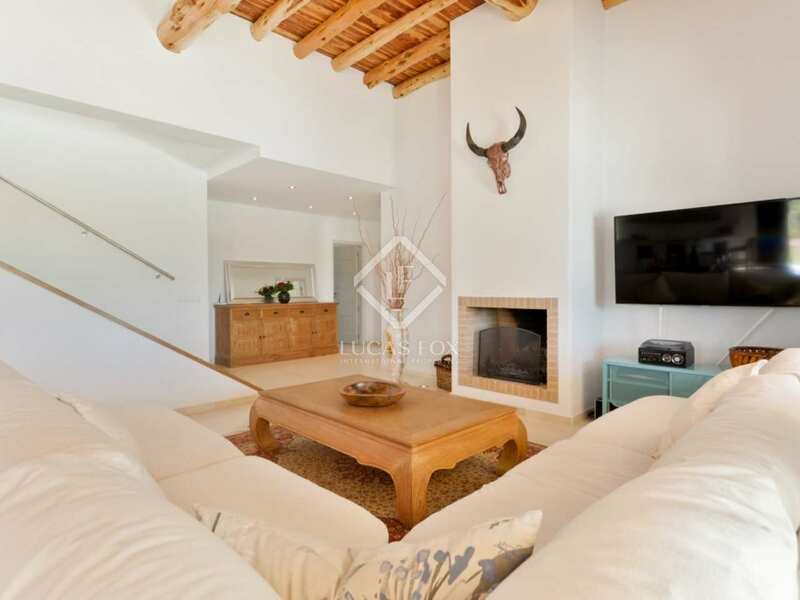 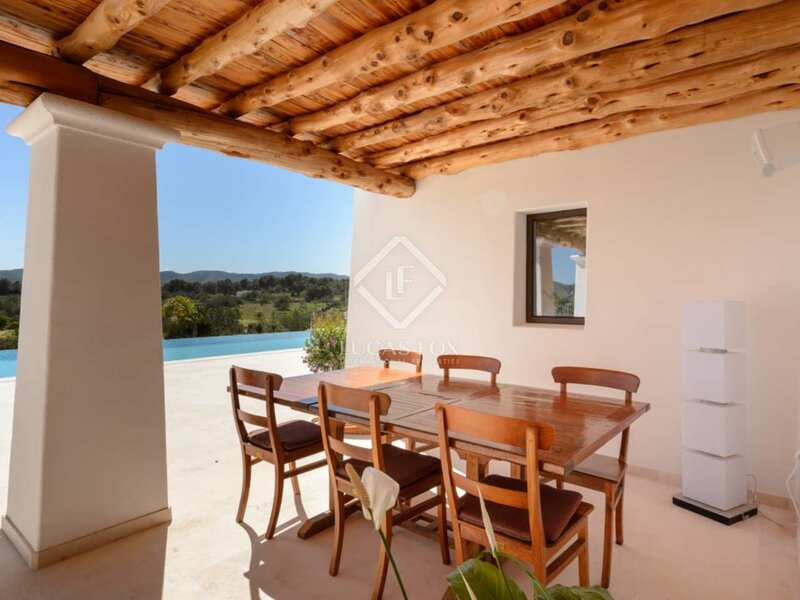 An exquisite home in Ibiza perfect for those seeking a spacious, modern property with excellent outdoor space. 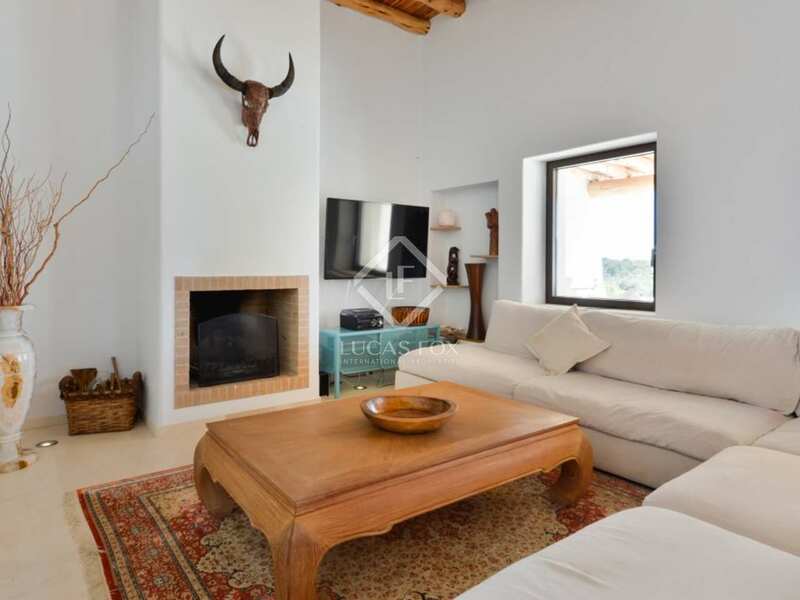 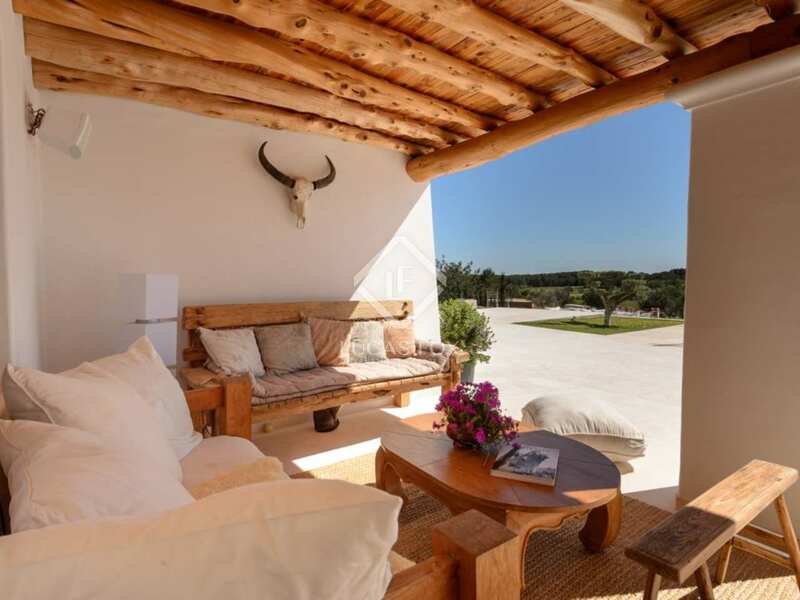 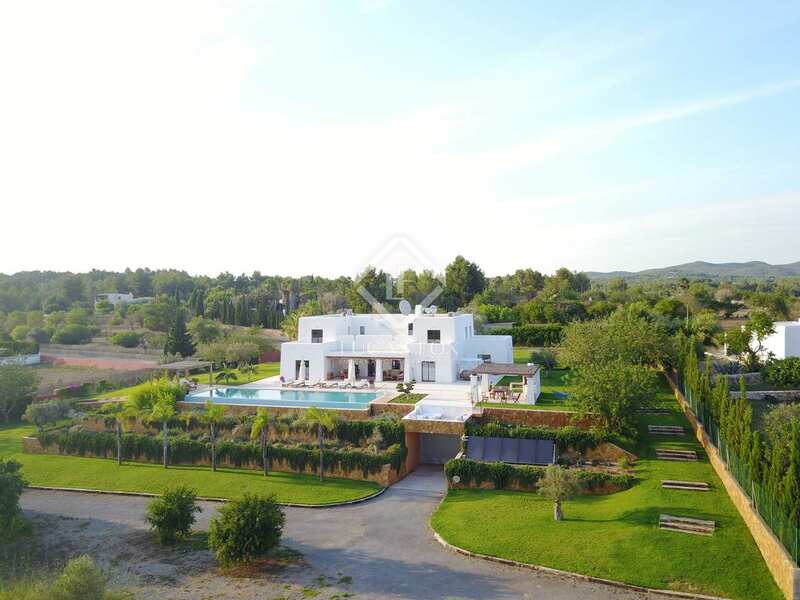 The villa enjoys a beautiful countryside setting just a few minutes from the center, between Puig den Valls and Santa Gertrudis. 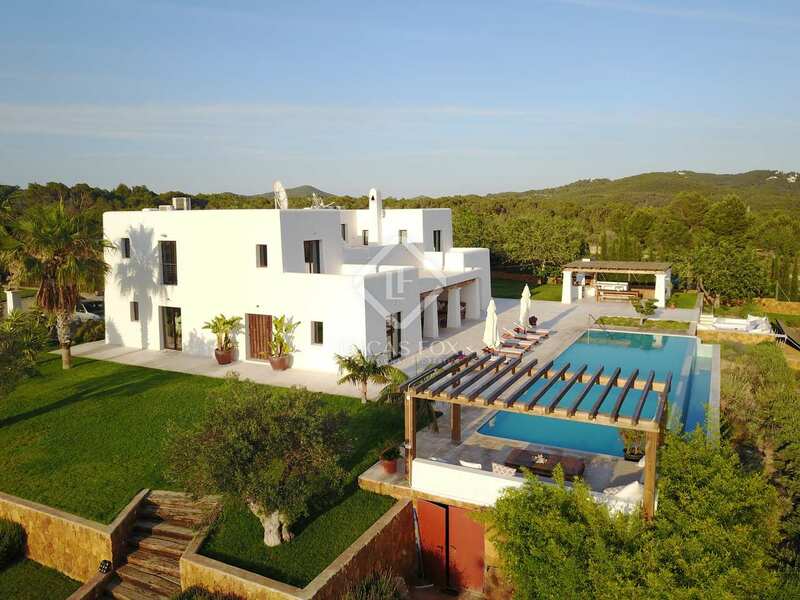 The airport can be reached by car in just 20 minutes.